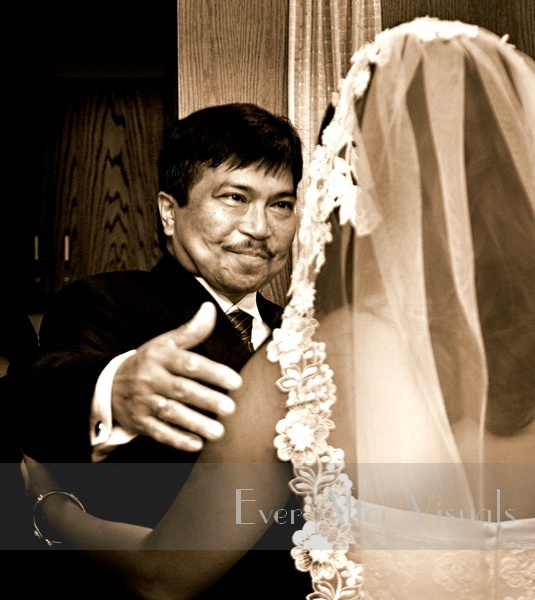 October 24, 2009 — what a perfect day for a wedding! 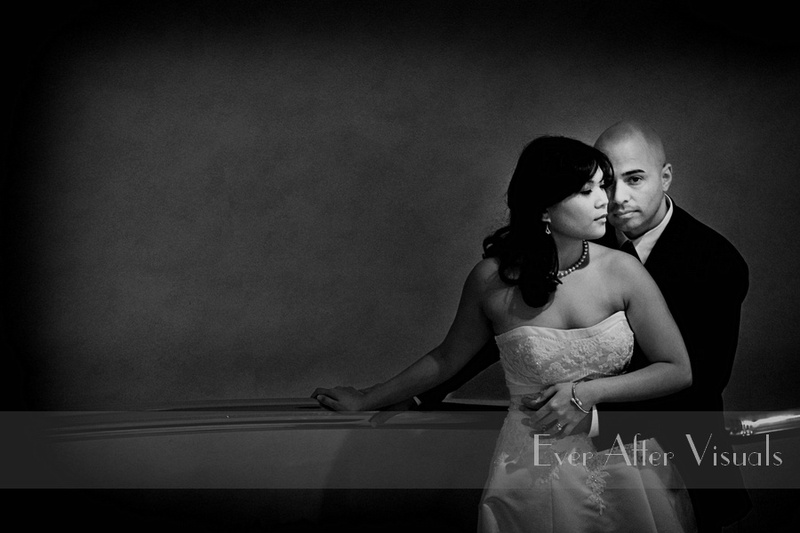 We arrived at the Church early Saturday morning to capture some awesome images of Ester getting ready. We absolutely loved Ester’s dress — it was so unique! This was not any ordinary wedding dress. This gorgeous satin dress with a cathedral train had dashes of tea rose pink on the entire length of the train and in a band framed with crystal beading. The bridesmaid’s dresses were also very lovely being a fitted navy blue strapless gown with a fuschia sash that draped down the back. 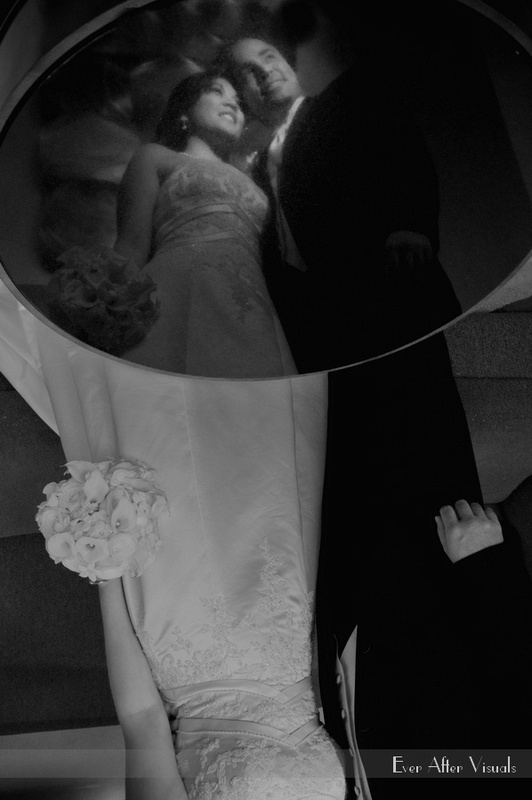 Gorgeous wedding dresses like this one make it easy to be a wedding photographer. The ceremony was very beautiful. 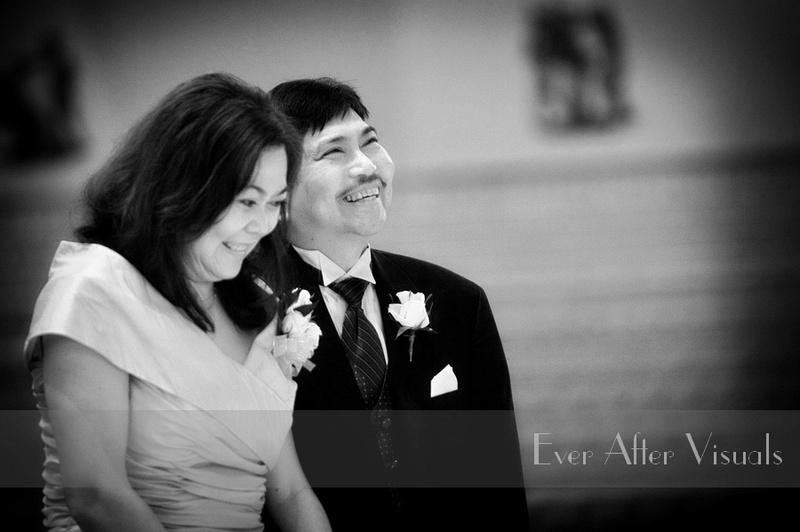 One of our favorite parts was the surprise vow renewal that Ester did for her parents! 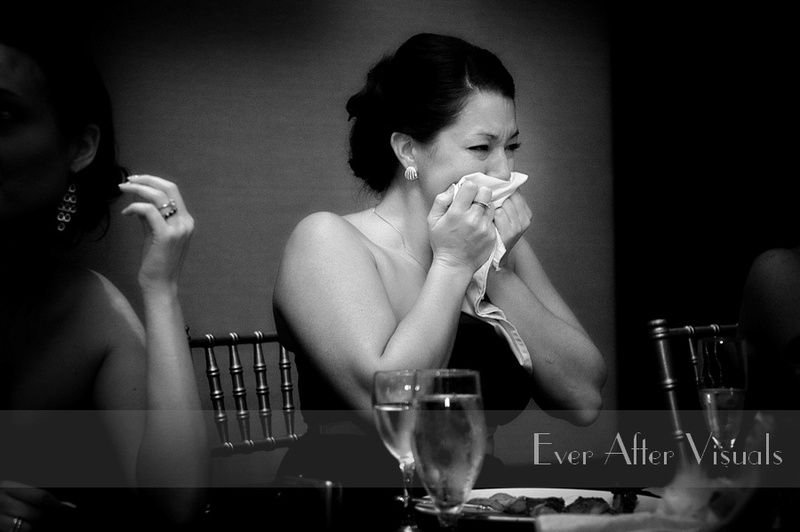 It was so incredibly sweet that there wasn’t a dry eye in the house. 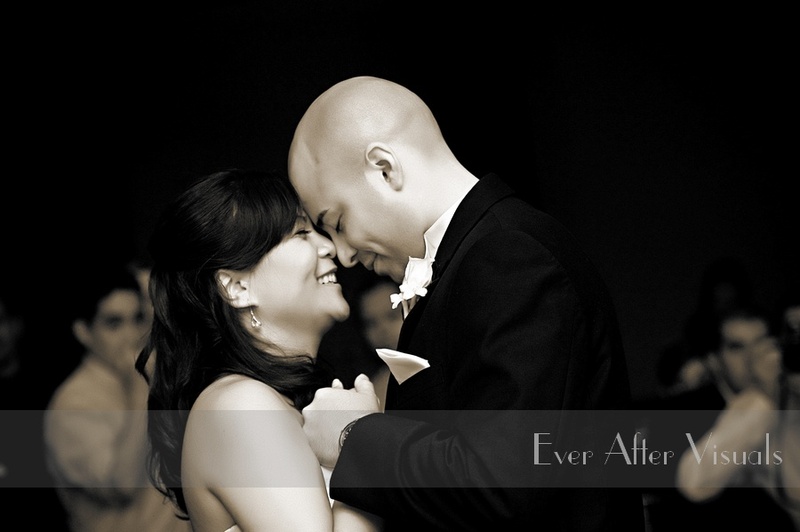 David and Ester are truly a couple in love who couldn’t stop gazing into each other’s eyes. 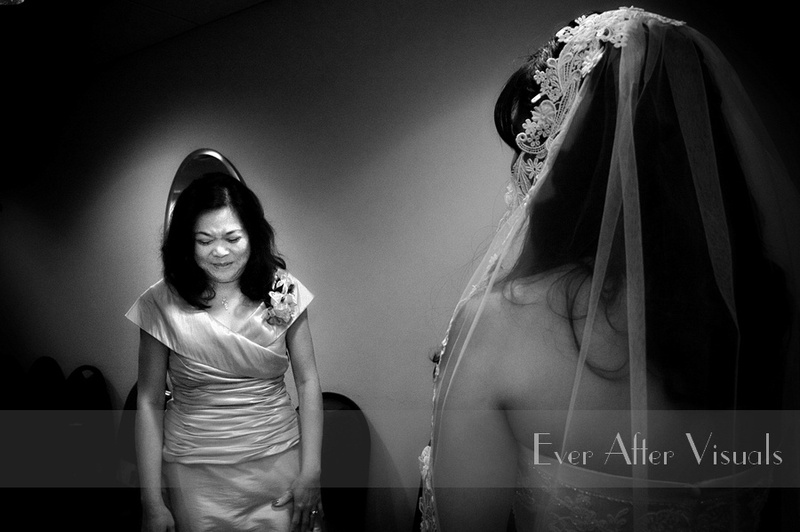 It was such a pleasure to be able to capture the life-long bonds between family and to see the creation of a new one. Next came the wedding reception! 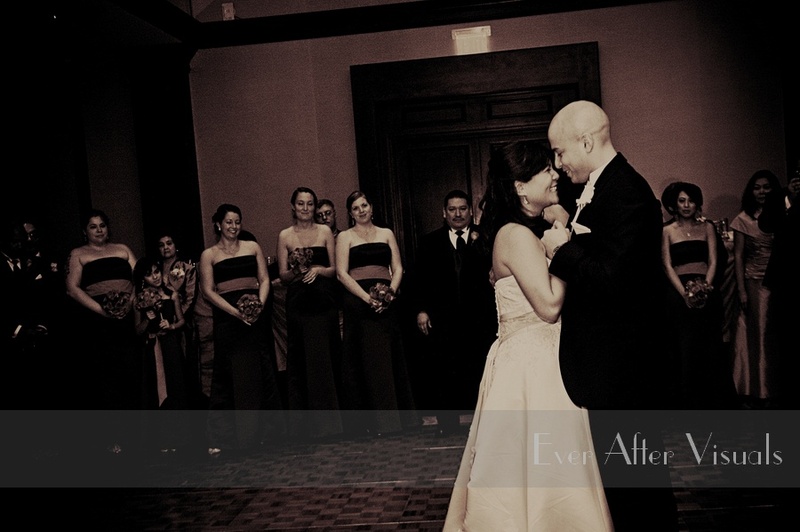 The entire Grand Ballroom was decorated in beautiful Fuschia and Navy tablecloths with equally elegant lighting. 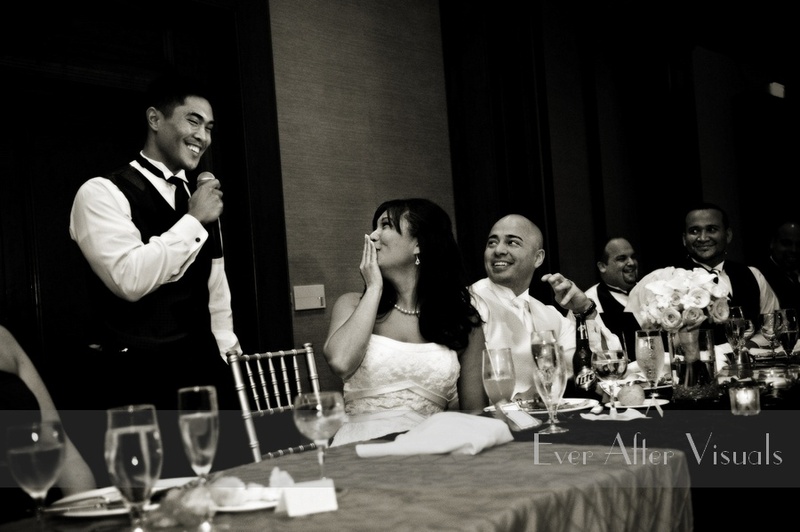 We know one thing for sure, and that’s that David and Ester’s family loves them a great deal! 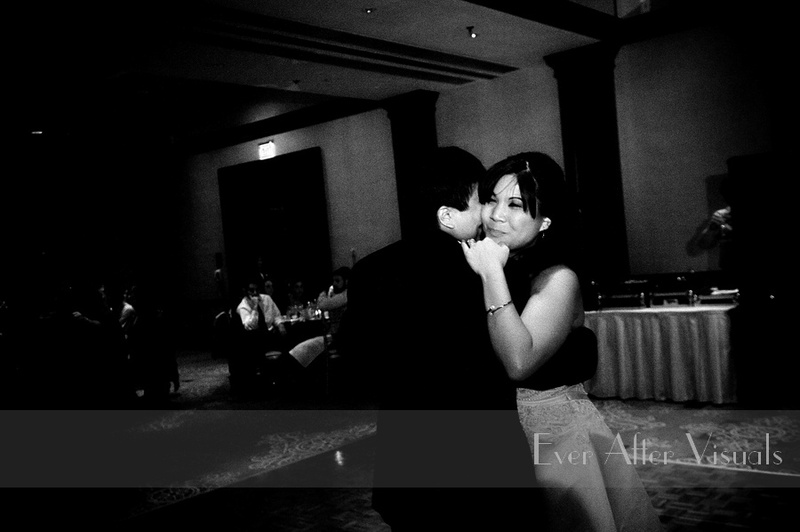 Ester’s brother was constantly surprising everyone with his smooth moves. First when the bridal party was anounced, next he sang for his sister as a toast and last as a random dance in which Ester also surprised everyone and joined in. And David and his Mom brought some emotion to the moment with the mother-son dance and ending with the entire family in a huddle on the dance floor. What a blast everything was! 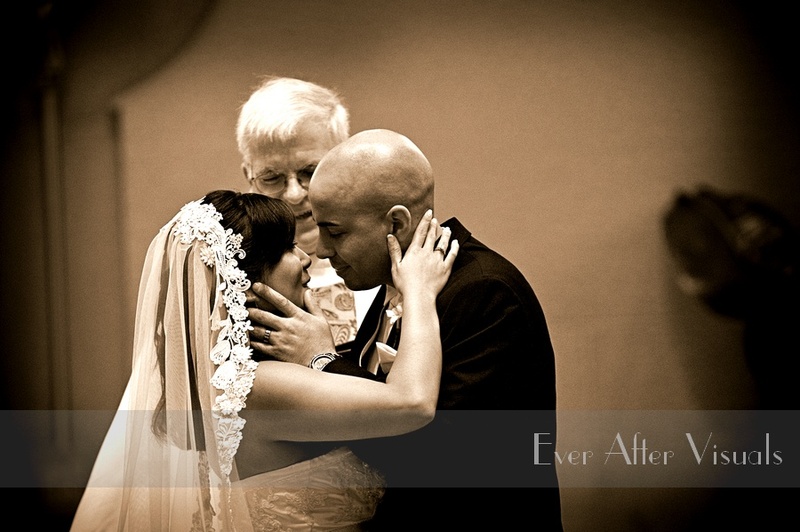 David and Ester — we want to thank you for being such an awesome couple! Your wedding day was fun and you made it so easy for us being such a photogenic pair! The love and respect between both of you is clearly evident in the way you treat each other. We hope you enjoy a long and happy life together. 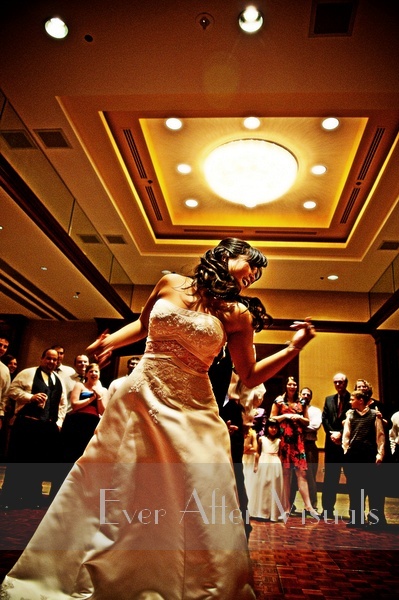 If you liked that, check out Jason and Jennifer’s Wedding at the Washington Dulles Hilton! 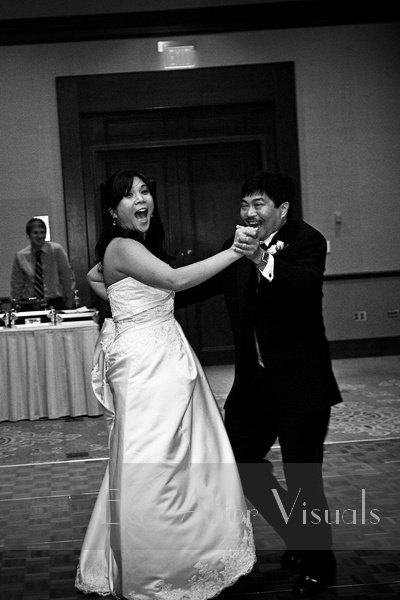 AND you can check out Jason and Jennifer’s Wedding Album! 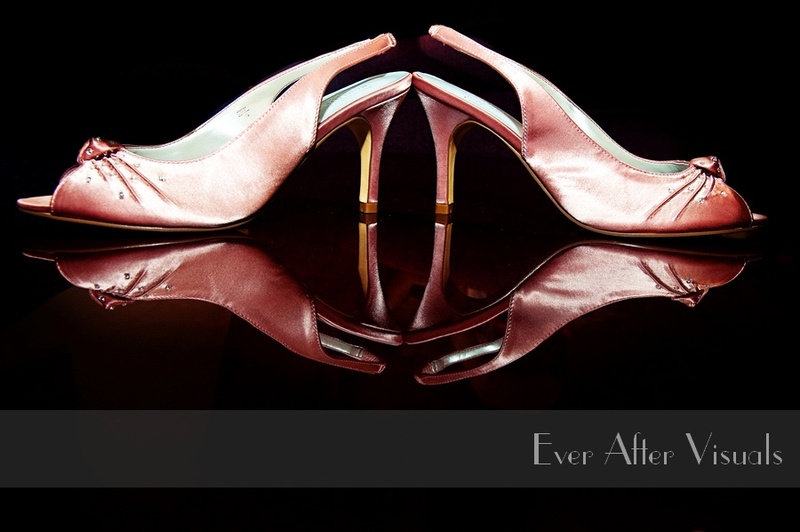 Click here to check out David and Ester’s SNEAK PEAK slideshow!